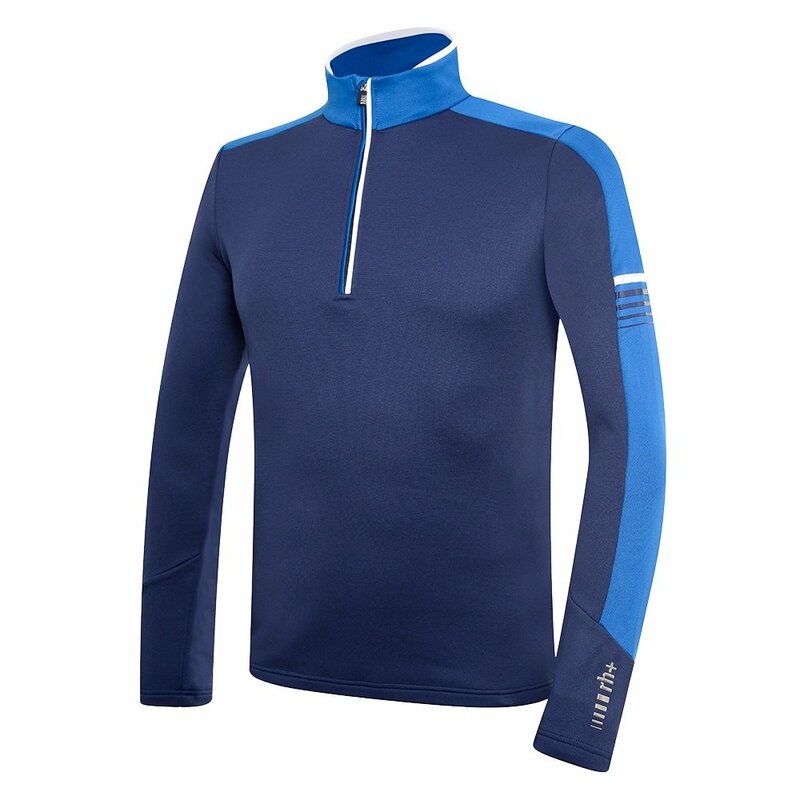 Slim, streamlined, stylish and versatile, the RH+ Men's Logo Jersey is your go-to mid layer for the snow season. With its stretchy, medium-weight fabric and slim, anatomical fit, the Logo top wears without restriction beneath your outer shell. Not just for the slopes, though, this men's half-zip has stylish and sporty design lines, making it a great off-mountain choice as well. The Logo jersey has a standup collar that hits under the chin, with an easy on, easy off pullover design.